Describe the problem: How can a second person duplicate the problem. What were the steps that lead to the error. Your goal is to help the programmers to debugging the problem. So you need to work with him/her all the time. Finding the problems is only the first step. In order to most efficiently help solve the problems, you will actually need to understand it. For each of the pictures taken, you need to describe each of the scenarios in the following form "... I am trying to ... after that..., I see this.."
However, when I provide the following input: "I don't know." or "asdalkajsdfl", etc., no feedback from the Tutor is provided. This error/bug is new for the LCC / Self-Reflection assessment type. I noticed a similar issue with TU assessment type feedback. If "I don't know" or some jibberish is provided as student input, the TU will not respond. When I clicked the Logical Next(GUID) button, new window is opened and showing alert to contact the author for suggestions. I couldn't add and delete answers for prompts. 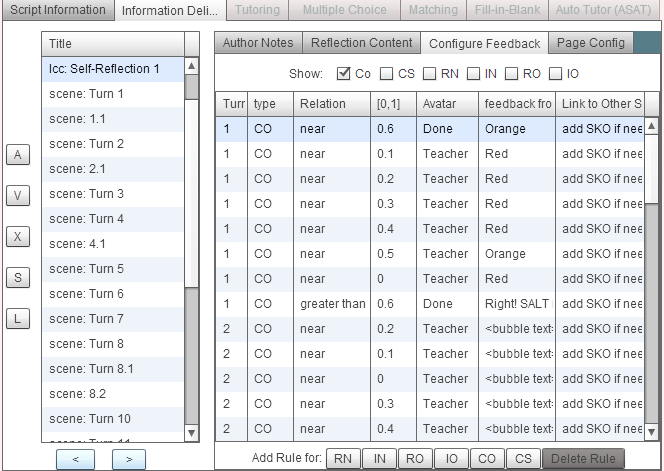 Auto Tutor(ASAT): Misconceptions are disable.